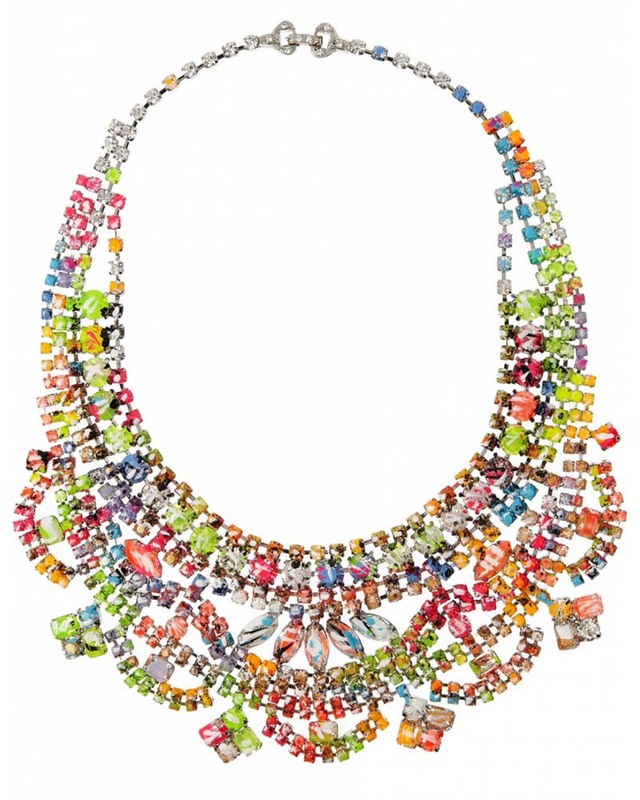 There are many new jewelry trends for Spring Summer 2015, and my own personal taste leans strongly towards silver and white gold styles but one that I find very engaging for summer fashion are these festive multi colored jewelry designs created by several new and also well known designers. 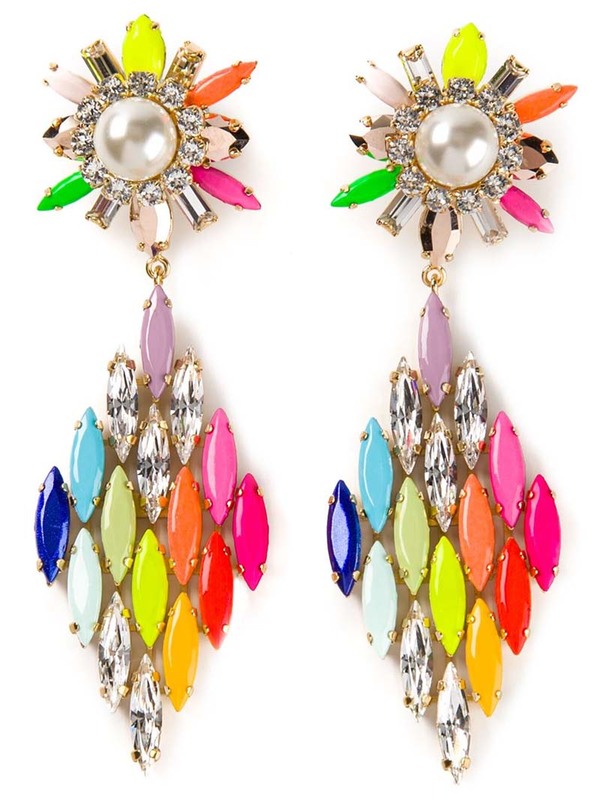 These are a fun and playful pop of color that so many outfits crave. Monochromatic white is a Summer 2015 fashion trend and black is always in style. There are many multi colored jewelry designs that can add dramatic punch as well as individual style to an otherwise plain outfit or add strategic contrast to a colorful fashion. From the more casual, haute hippie, bohemian jewelry styles to gemstones to wear with a high fashion outfit, these colorful jewelry designs are exceptionally creative and full of spirit and imaginative flavor. Hipanema was born in just 2012, when 2 young women from Paris met and discovered their mutual love for color, travels and Brazilian bohemian glamour. 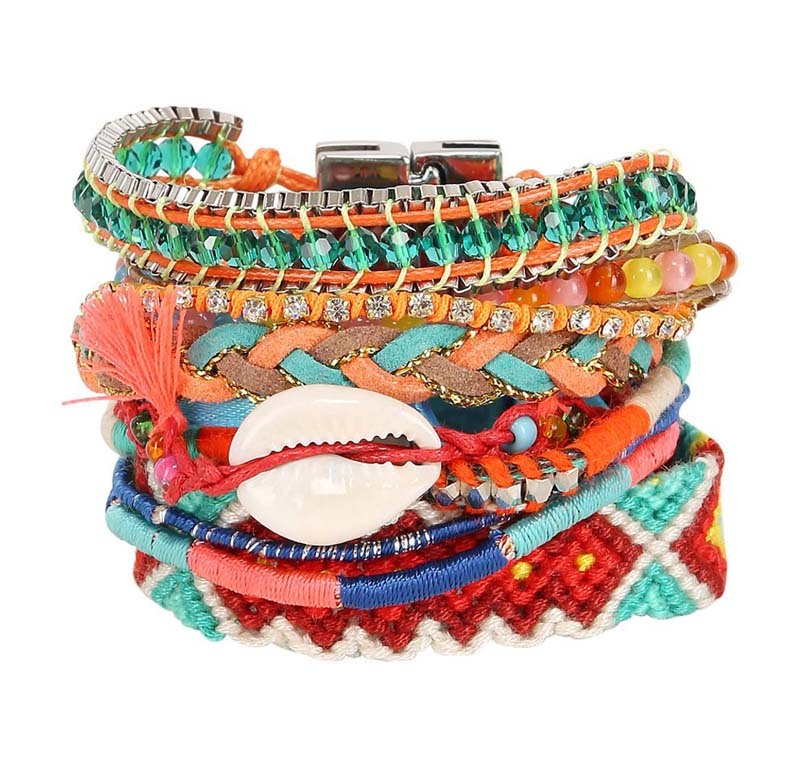 They’ve been revolutionizing summer jewelry trends with their haute hippie style concept for multi strand bracelets, made from pearls, seashells, multi colored thread, ribbons from Bahia, beads and quartz stones. Not only do they have their own eshop, they’re being carried in fine department stores too. You can also find great deals on Hipanema from sites like NordstromRack, which has a buffet of Hipanema and they’re all on sale! – Or find more great deals on Hipanema from Asos. Dori Csengeri Jewelry – always unique, creative and fun. Her original jewelry designs are quickly becoming collectors items. 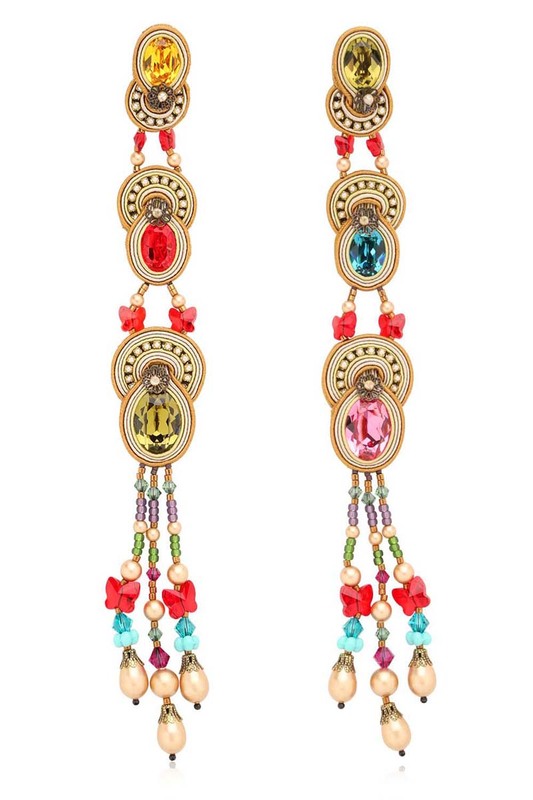 Here we see a pair of long soutache embroidered earrings that are purposely mismatched and would coordinate with several different styles of bracelets, rings and other colorful accessories to complete a fun summer fashion ensemble. Dori’s work has been featured on bcr8tive.com before because I just adore her work! Shourouk is yet another Parisian designer, that is well established in the design community, having worked with fashion houses like Chloé, Galiano, Roberto Cavalli and Jean Paul Gaultier. She develops hand-stiched and embroidered jewelry pieces, using an abundance of Swarovski crystals and painted stones. Her work is well known among celebrities too. 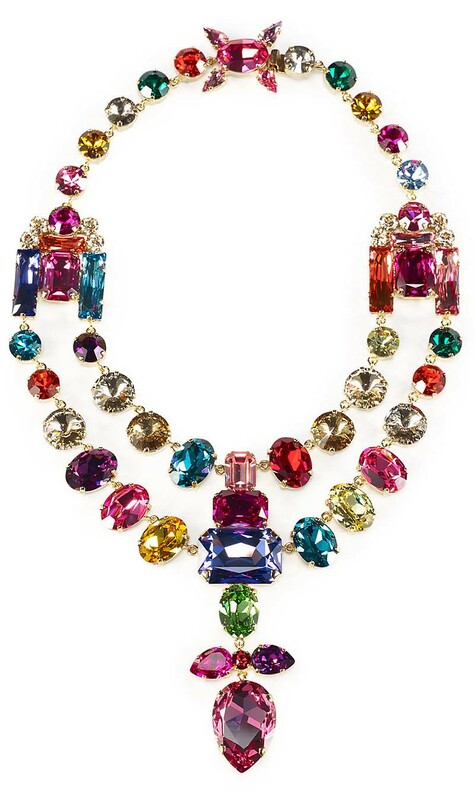 Ralph Lauren featured a buffet of colorful Swarovski necklaces and earrings in his Spring 2015 Collection. They are a surprising but welcome design element paired against the safari chic styles of the seasons fashions. Leave it to Ralph to consistently create new ways of looking at fashion in his iconic signature style. This costume jewelry is dazzling! Tom Binns Design has garnered a rather large following for his truly unique and intricate jewelry designs. His style is a combination of chic elegance meets the historical and the tribal. His artistic work is that of a master jeweler that is also a total non-conformist and it works! They’re one of a kind, memorable, truly unforgettable. 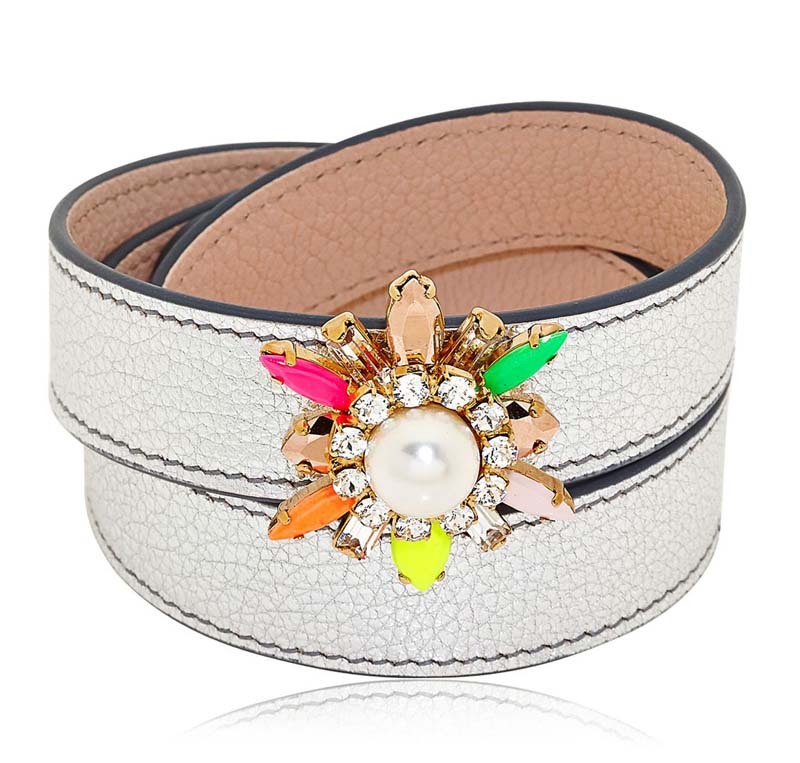 Among his many coveted pieces are an array of designs that bloom in color as well as originality. The colored beading is festive, creative and inspirational. The settings all intricate, involved, and mesmerizing. 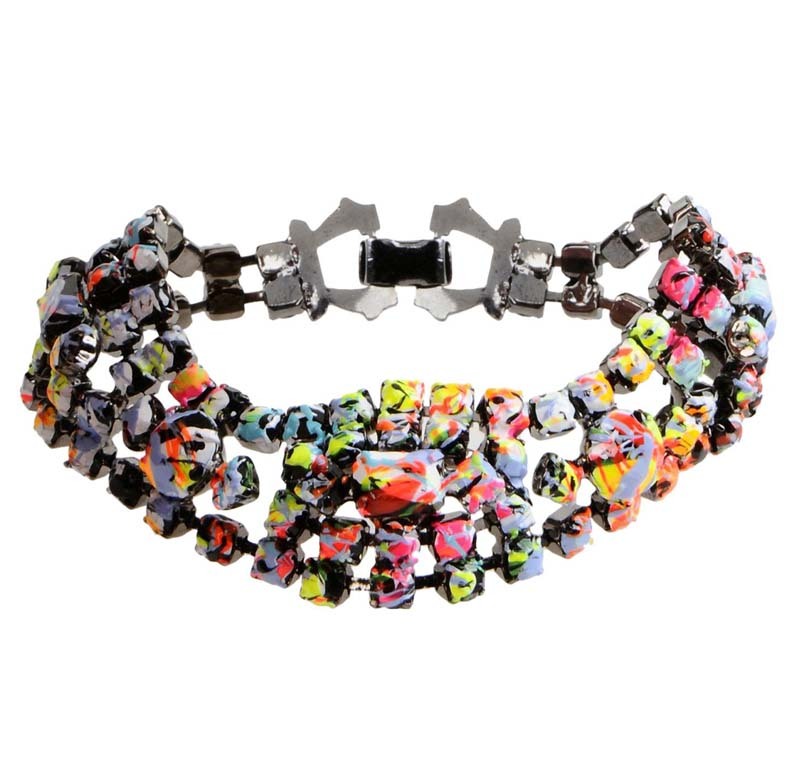 Shop More Multi Colored Summer Jewelry from these Designers below.